This mask is an all-time favourite. 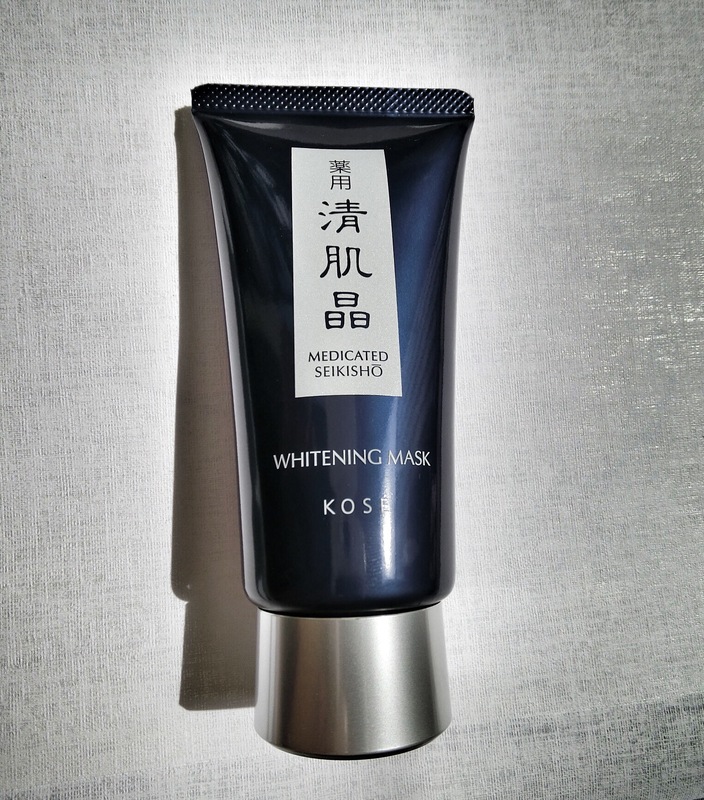 Discovered it in 2010, while watching Taiwanese beauty guru Robin Niu demonstrate the wonders of it at a Kose event. It might be called “Mask white”, but squeeze the tube and you’ll find a thick, black liquid goodness oozing out. Made with vitamin C, Chinese barley pearl, angelica, and Japanese coptis extract amongst others, it brightens the skin while giving it a radiant glow. It apparently helps with re-balancing oily skin too. I’ve been using this for the past five years; it works. Apply a thick layer on a clean face, avoiding the brows, hairline (because the peel-off mask can rip them off), lips and eyes. The mask will eventually dry to form a tight, latex-like layer which grips onto most of the tiny hairs, gunk from blackheads and dry skin flakes on your face. Pull the mask off quickly (like you would when waxing hair on your legs) and all the stuff comes off with it. What’s left behind: shrunken pores, smoother and brighter skin. The product smells great too; it reminds me of a favourite bar of soap. It also feels cool and soothing on the skin, unlike some masks that cause an uncomfortable, tingly sensation. Hubs loves this by the way, it keeps his skin really smooth. We both agree that it’s the best invention ever and keep a ready stock in our bathroom. But waiting for this mask to dry is a chore. You need to apply a thick layer so that it forms a strong grip on the bits. We find that taking naps in an air-conditioned room is the best way to get the mask to dry quickly. It will almost never dry on a hot and sticky day in an open-air room.